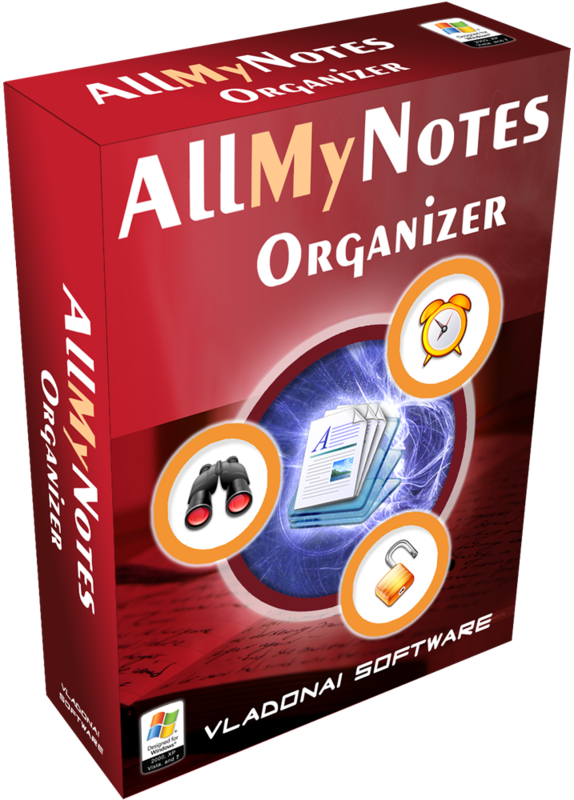 AllMyNotes Organizer - Resources for Affiliates and Media. Improve Your Software Sales by White Labeling AllMyNotes Organizer. I own and have used the Deluxe edition for quite some time. I love the program, its ease of use , and features. Great job! Join our affiliate program, earn 35% commission from now! All new affiliates are automatically approved. If you need a special commission, please let us know. If you are interested in having a much deeper integration - to have our software appear to have been written entirely by you, we can offer you a white labeling option. You can choose the application name, company name and website linked to the software, and customize other features, you may even create your own skins, so that the app will look totally different! To have this kind of integration please contact us directly. Please use our PAD files to post an updated listing of our products on your site. Right-click and select 'Save Picture As' to save resource above to your disk. Click here to download graphics pack - banners, screenshots, logos, and other related resources. Please use following download URLs for download of the latest application versions directly from our web-site. We have many more graphics, buttons, and banners, which is not listed here, please feel free to contact us, simply tell us your requirements and we'll be happy to provide you with all needed resources. • AllMyNotes Organizer - List of creators and contributors.